Very excited to announce that Social Problems has accepted our paper using American Mosaic Project data, collected here at the University of Minnesota, analyzing the sources and nature of anti-Muslim sentiment in the United States. Building on recent work in critical race theory and a theoretical approach to national belonging that focuses on symbolic boundaries, we show that Muslim-Americans are excluded on religious, racial, and civic grounds simultaneously. Nearly half of Americans expressed anti-Muslim sentiment in responding to our survey (fielded in 2014) and we show that while social location is associated with negative views of Muslims (gender, education level), cultural factors matter more, especially an understanding of American identity rooted in a white, Christian cultural heritage and a de facto English Protestant civic culture. This paper builds on our earlier project work using data from our 2003 survey. In an article published in 2008 in Social Problems, Eric Tranby and I found that those who value and want to preserve a white Christian cultural heritage were more willing than are other Americans to exclude a wider range of ethnic, religious, and other minorities. A team of project researchers has replicated this analysis with data from our 2014 survey and found that this applies not only to symbolic exclusion, but willingness to deny civil liberties to a range of minority groups. And in our research on anti-atheist sentiment we develop the symbolic boundaries framework that articulates the intersection of repertoires of beliefs about American identity and religiosity. Taken together, this research helps us to understand the origins and resonance of Christian nationalist appeals in the public arena today. Such appeals resonate with a broad cultural understanding of the nature of American identity that goes beyond the confines of a conservative White evangelical subculture. This understanding excludes Muslims on multiple dimensions simultaneously, which helps to explain both the scope and durability of anti-Muslim sentiment and which reveals the intersection of religion, race, and understandings of citizenship and American identity that motivate much of conservative religious expression in the public arena today. It is one of the great satisfactions of the career that I've chosen that I get to work with and mentor bright young scholars and see them develop their ideas and find their own voices. It's particularly satisfying to then have a chance to work with them on research that matters. Just last week, Jack Delehanty, Evan Stewart and I had a paper accepted for publication in Social Forces that highlights research we've conducted here at the University of Minnesota as part of the American Mosaic Project. Jack is the lead author. In this paper, we tackle two questions at the heart of the larger AMP project, which focuses on how Americans think about and experience diversity, particularly religious and racial diversity, and with what social consequences. First, we examine the question of which Americans favor and support Christian nationalist ideas -- both in terms of symbolic expressions of religion in public life, and in terms of institutional practices that favor Christian nationalist principles. Second, we examine which Americans feel included when they hear Christian nationalist claims in the public arena, and which Americans feel excluded. We often conflate Christian nationalism with White evangelicalism. And this is not inaccurate; White evangelical leaders have historically upheld and promoted Christian nationalist views. But research on the effects of White evangelicalism on our public life can't just focus on the evangelicals themselves, we argue. It must expand to focus on the question of which other Americans find Christian nationalist discourse compelling and resonant, and in what ways. You can find a link to a .pdf version of the article here. The main takeaways: It is not just White evangelicals who are sympathetic to Christian nationalist claims in the public arena -- Christians, in general, including those we might think of as moderate or even liberal, are sympathetic to symbolic expressions of Christian nationalism in American public life, and some of them support institutional practices that favor Christian nationalist positions. Who is left out? The non-religious and religious minorities, who do not support Christian nationalism or view it as legitimate in the public arena. This suggests that those who are hopeful that White evangelical Christian culture -- symbols, discourses -- can form a basis for a kind of inclusive civil religion are going to be disappointed. Instead, Christian nationalism is divisive, in a landscape in which partisan alignment is already solidifying along both racial and religious lines. Spirituality, Nostalgia, and "Is This All There Is?" Most of the academics I know have a secret (or not so secret) yearning to be "a writer," and if you ask them what that means, over coffee or a glass of something stronger, they'll tell you that they'd like to have a chance to do a different kind of writing than that required for journal articles, scholarly books, or (dreaded) professional and administrative communications. Something that allowed them to write more freely, directly, whimsically, creatively. Last year I got a chance to do just that. I received one of the nicest invitations that I've gotten in a long time, from editors working on a special feature for The Immanent Frame, a blog sponsored by the Social Science Research Council. They were starting a new feature, and soliciting posts from a wide range of scholars on the very general theme of "Is This All There Is?". The resulting collection of essays is fascinating and worth browsing through, featuring, above all, some truly excellent writing about spirituality, longing, activism, purpose, meaning, and (in some cases) religion. I had a lot of fun writing my post, "Announcing Your Place in the Family of Things," using the poetry of Mary Oliver - a favorite contemporary writer and thinker - to articulate an approach to engagement with the "really real" that rejects nostalgia and is open to connections with believers and skeptics, the ardently religious and the ardently secular. 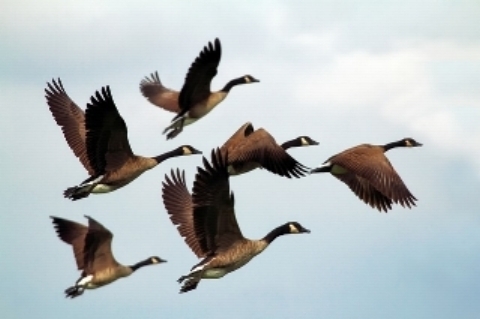 Check out the post, and check out "Wild Geese," the poem that inspired the post. . . Also check out the other fine work by the editors, Courtney Bender and Nancy Levene. And for readers who might themselves be academic writers, consider seeking out opportunities to write in this kind of format. It's freeing, and it focuses your mind and fosters creative connections you wouldn't make in other formats. The Civic-Minded Atheist? Well, in Fact, Yes. Among the most common stereotypes of atheists is that they are selfish and immoral - not constrained by the same values and social connections as you and me, just in it for their own good. More generally, Americans tend to view the non-religious with suspicion, and scholars, too, tend to worry about this group ("Do they not have meaning in their lives?") or to express concern about the social impact of their lack of religious commitment ("What about the important social benefits of religion? If churches decline, what institutions will draw people into civic engagement, or do outreach to the poor?"). New research with Jacqueline Frost at the University of Minnesota, forthcoming in Nonprofit and Voluntary Sector Quarterly and based on American Mosaic Project data, shows that everyone can heave a sigh of relief. It turns out that atheists volunteer for community groups at the same rates as church-goers do, and they are just as likely to care about politics and community affairs. That's right - atheists are just like church-goers on these measures. I'm not a person who writes with a lot of italics and bold letters, but this cannot be over-emphasized -- the stereotypes of atheists are just flat-out wrong on this. This research also shows that there's a great deal of variation among the non-religious in community involvement. While atheists, agnostics, and the spiritual-but-not-religious all show some form of robust civic engagement, those who identify as "nothing in particular" are less likely to volunteer and express less interest in politics and community affairs. This suggests that what matters for drawing people into community life is having a stable identity and value commitments, whether those are religious or secular. Those in the "nothing in particular" category may be indifferent not only to religion, but to a range of other commitments. We end the paper with the usual call for more research, and in this case, I really hope others follow up on this. We need to debunk these stereotypes and understand the mechanisms that foster community involvement, civic-mindedness, and political awareness. We can no longer use religion as a "proxy" for being a good citizen, a good neighbor, or an involved community member. Our measures and our research have to evolve with the shifting religious/non-religious landscape. Not from conservative attacks from the Right. Not from evolution-from-within to a broader humanist or critical theoretical philosophy. But from people with real power, real influence, simply ignoring its claims. I said most of what I wanted to say about the Chronicle piece in my letter-to-the-editor, which they published online today. What I was thinking about while driving in to the office was how often this happens in our scholarship, too. In my own subfield, decades of feminist scholarship on religion is generally overlooked by the more influential scholars who do not cite it in their work or take its theoretical critique into account in formulating their own analytical approach. Everyone is happy the feminists are there, of course. They congratulate themselves at the number of feminist and queer theoretical sessions on the conference program -- sessions they never go to, profiling books and articles they couldn't be bothered to read. How do we fix that problem? How do we create graduate training programs that don't segregate critical theoretical approaches into an "oh-by-the-way" ghetto? How do we train journal editors to expect more of their reviewers, their most influential authors? Because this granting of a small territory on the side (not the good ground, mind you, not the ground by the river, but highlands, where it's hard to grow things) -- it's not enough anymore. Recently, I've had two opportunities to write about the role of religion in mobilizing voters in the 2016 Presidential election. In an earlier blog post, I discussed a piece I wrote for The Society Pages on why reporters and other commentators tend to talk about "evangelical" or "Catholic" voters, missing the importance of race in shaping how religious beliefs and identities affect political behavior (voting, party membership) and attitudes towards social and political interests. Sociologists, too, have a disturbing tendency to ignore the "White" in "White Christian America," and have provided much of the research that informs how journalists and other commentators write and talk about religion and politics. Schooled in Durkheim and Weber, sociologists focus on religion as an independent locus of identity and community, or look at how religious ideas and beliefs motivate social groups to act. This is not wrong -- religion influences a variety of social behaviors and anchors meaningful identities for many in the late-modern world. People draw on religious beliefs and symbols to make sense of their world, and doing so shapes understandings of social policy, community life, and political alignments. But it is essential to move beyond thinking of religion as a set of beliefs or an aspect of identity that is divorced from race, gender, and social class. Nowhere do we see this more clearly than in the study of religion and politics. Sociologists cannot afford to ignore the facts or twist the evidence. To take the 2016 election as a case in point, sociologists of religion must lead the way in critiquing popular discourse about "the religious vote" or "the evangelical vote" and do our best to place front-and-center in public discourse the stark fact that it was White evangelicals and Catholics who supported Donald Trump. Black and Latino evangelicals and Catholics did not, despite having the same concerns about abortion that motivate White religious conservatives (if not more so, in the case of religiously conservative Latinos). It is very clear to anyone who is willing to take an honest look at the data that social location -- a person's race, her gender and social class -- shape how religious beliefs are interpreted and applied to social and political life. In a forthcoming piece in Journal for the Scientific Study of Religion, authored with Jacqueline Frost, I show that attitudes toward racial equality can only be explained by understanding the intersection of religious belief and identity with race, gender, and other aspects of social location. In a new editorial, just published in Sociology of Religion, I use the case of the coalition of support for Donald Trump in 2015-16 to argue more broadly for an intersectional approach to the study of religion. In new work with Jack Delehanty and Evan Stewart, we develop an argument that it is a commitment to Christian nationalism that affects how people interpret the link between specific religious beliefs and identities and understandings of the public good. What does an intersectional approach mean, and why is it so controversial in the sociology of religion? Theoretically, it means that we have to stop thinking of religious beliefs and religious identities as master statuses that override gender ideology, class interests, and racial interests in forming attitudes about the social world and one's place within it. Practically, it means moving away from thinking of a unified "evangelical effect" or "Catholic effect" on people's attitudes and behaviors and asking how and why particular religious beliefs are appealing to particular people because of their gender identities and racial and class interests. Ethically, it means upholding our promise to maintain our "outsider" status, and to take Weber's Verstehen approach seriously -- understanding insider religious discourse on its own terms, but also interpreting it through a critical theoretical lens. Fortunately, in this, we do not have to reinvent the wheel. The work of Patricia Hill Collins and Dorothy Smith, pioneering feminist social scientists, offers us a good model for the work ahead. And move ahead we must, or risk becoming irrelevant to some of the more critical issues of our day. If you want to read more, check out the editorial, in the latest issue of Sociology of Religion. Here at the U of M sociology department, we are fortunate to host The Society Pages, a website where people write and post about sociological research and its relevance to real-world problems. Today, there's a special feature on the TSP website, a post that I wrote called "Seeing the White in Christian America." I argue that the press coverage of "the evangelical vote" for Mr. Trump has de-emphasized the role of race in motivating the White evangelical vote.